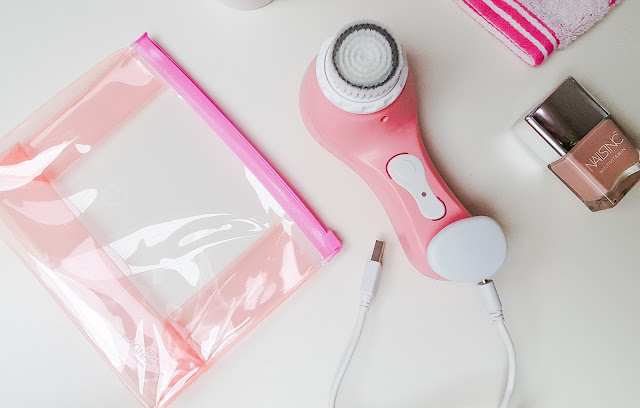 And I couldn't think of a better product to talk about today, pink and a cleansing must have? I adore Magnitone, the team are always lovely, and their product range has something for everyone. 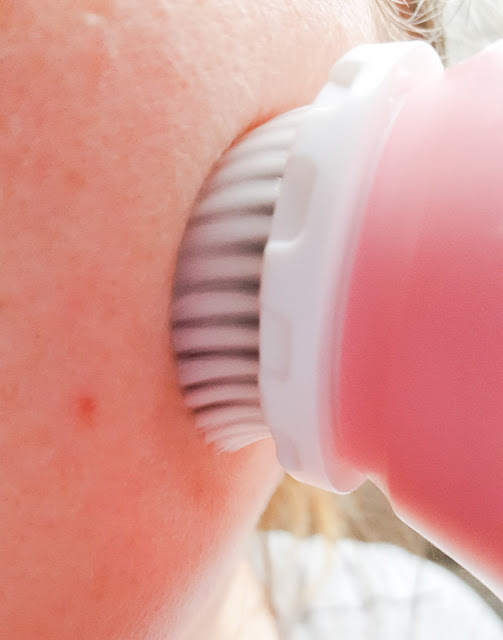 And since then they have really upped their game introducing the Vibra-sonic daily cleansing brush! 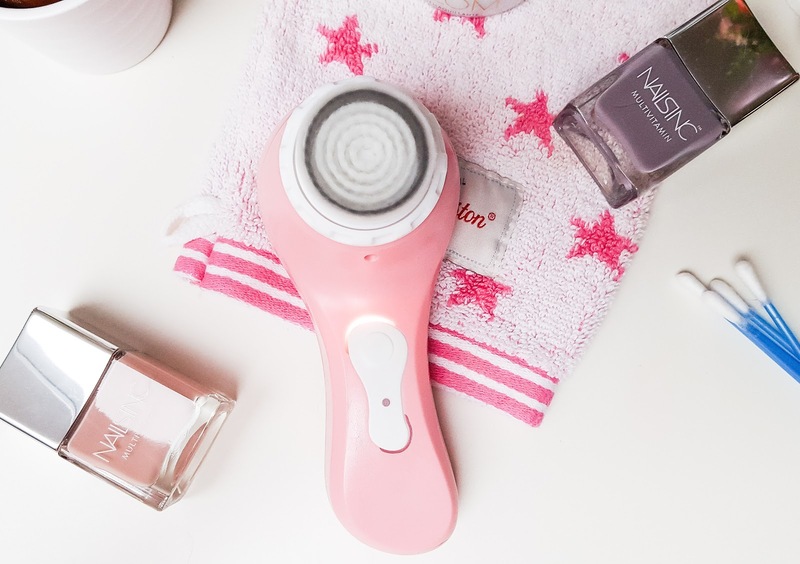 Better than manual brushing, the Magnitone Barefaced Vibra-Sonic cleansing brush deep cleanses, empties out pores, and tones skin. I adore my pink version, it lives by the side of my sink and I use it once a day to slough off dead skin cells, and brighten up my complexion. The combo of sonic oscillations + electromagnetic vibrations = energising skin workout. This skin-friendly duo work deep into the skin (where hands don’t go), to wobble out impurities and boost micro-circulation, with all its healthy, glow-giving benefits. 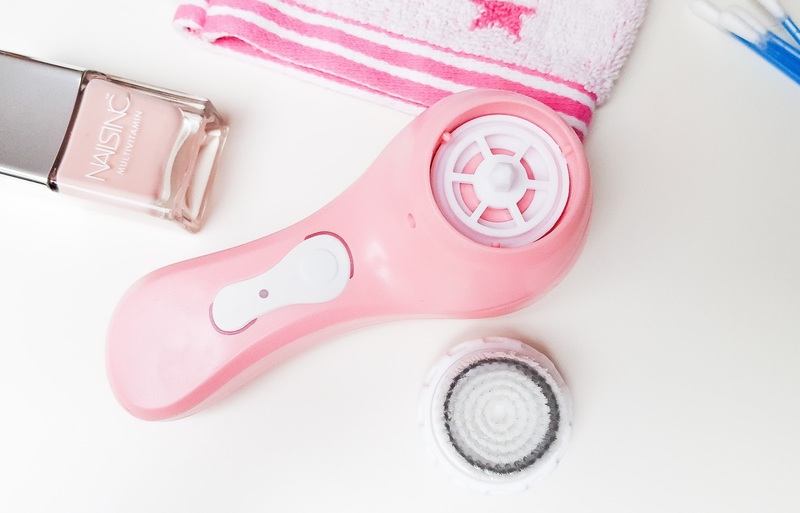 For just 60 seconds a day, the Magnitone Barefaced tones your skin, ensuring that your moisturizer sinks in better, thus improving the overall look and feel of your complexion. The instructions are simple to use, and they ensure that you get the best out of the device. 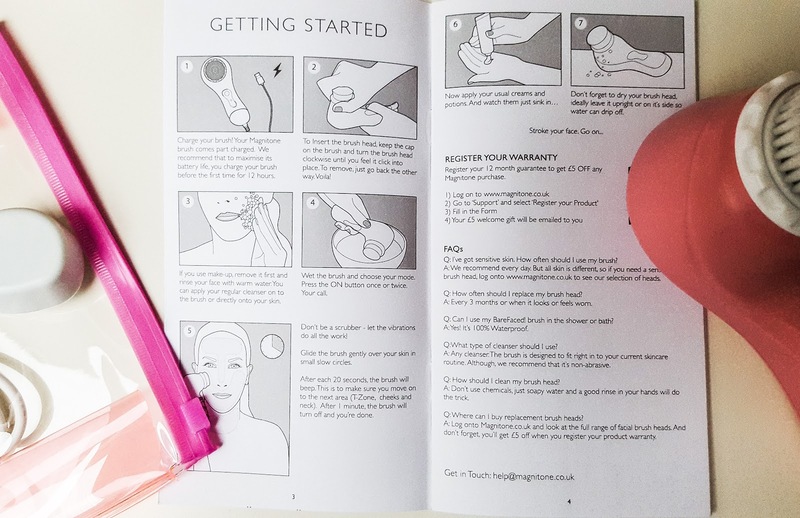 When your Magnitone Barefaced arrives, it's ready to use - it's fully charged for you! Forget manual. It'll go deeper so your pores come clean. An energising skin-workout to boost micro-circulation for a megawatt glow. I alternate between the two settings to ensure that my skin doesn't get sluggish and bored. Using a cleanser that can be emulsified also ensures that the oscillating brushes work their magic. 100% waterproof it means you'll feel confident leaving it in the bathroom should it end up submerged. A cool wireless charger and bag means it's ready to go when you're travelling. I love the matching bag that houses the Barefaced, and I cannot wait to take it away with me. 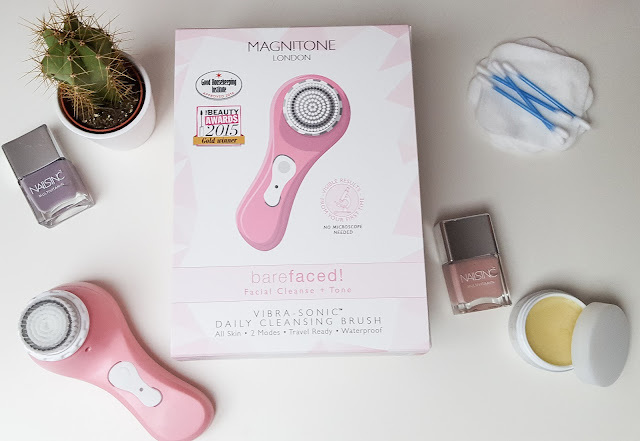 Last but by no means least you can change the brush heads of the Magnitone Barefaced 'Here' from £12 - £20 in price - so you can really personalise the Barefaced even more, to suit your skincare needs. So there you have it, my skin game changer and one that I cannot be without! You can purchase the Magnitone Barefaced for £70.00 'Here' It makes a fantastic gift. 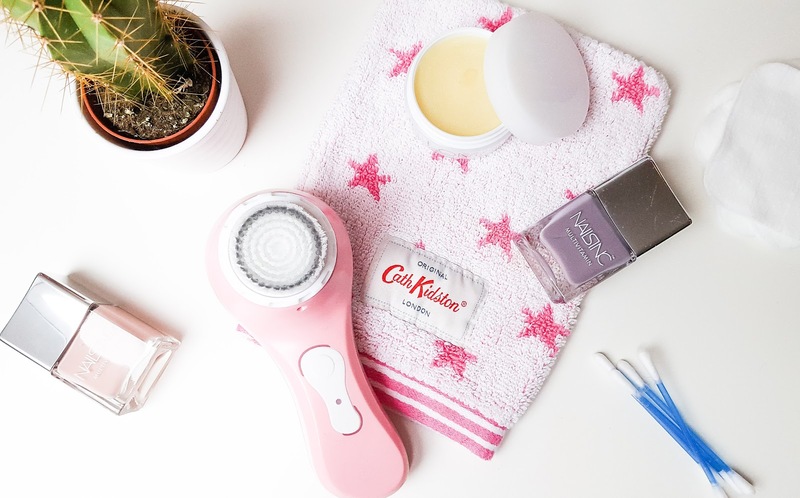 Have you tried oscillating facial brushes before?